In education, personalized learning is one of those concepts that has a different definition for each person you talk to. It doesn’t help that there are different terms people associate with personalized learning, like adaptive learning, individualized learning, differentiated learning, and competency-based learning. None of these terms are quite synonymous, although they each overlap in some respect. The lack of consensus on what personalized learning entails has affected its progression throughout school systems – in part because without a clear definition, the benefits of personalized learning are less obvious. And yet, the term alone suggests something that probably has some benefit, given that we, as humans, prefer things to be personalized to ourselves. Defining and putting parameters around personalized learning is one of the first steps toward implementing this doctrine in classrooms. The pace of learning is adjusted, meaning there’s not one pace for all students. Under this definition, personalized learning focuses on the unique needs of each learner and gives the learner the freedom and power to help chart their own course based on what interests them. The more a subject or activity interests a student, the more likely he or she will be to both engage with it and retain knowledge gained from it. One main benefit is that learning outcomes are increased through higher engagement. As mentioned, student engagement increases the more the material is aligned with his or her interests and needs. Higher engagement tends to create better outcomes because the student is more focused and attentive, and is better able to grasp the material. Since much of it is driven by the students themselves, personalized learning helps build stronger relationships, not only between the students and the material, but also students and their peers, their teachers, and their families. Finally, personalized learning benefits school districts because it promotes diversity and helps ensure that students receive equal benefits from schooling, despite his or her circumstances. Implementing personalized learning can be difficult without the use of technology. Education technology, such as one-to-one computing and cloud-based software-as-a-service (SaaS) solutions, can help educators create tailored material for each student. Technology in this instance can be a great enabler; in many respects, it’s the enabler, especially for classes with normal student-to-teacher ratios. Personalized learning starts, though, with an understanding of what it entails and the benefits it offers, as well as a commitment to establishing the foundation by creating curricula, training teachers, and putting technology infrastructure into place. 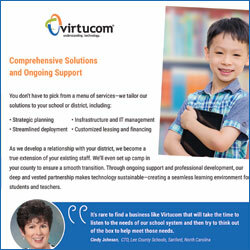 Virtucom is a leader in education IT, helping school districts with everything from one-to-one computing to infrastructure management. 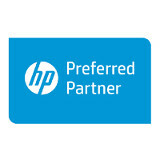 Contact us for help with your project.